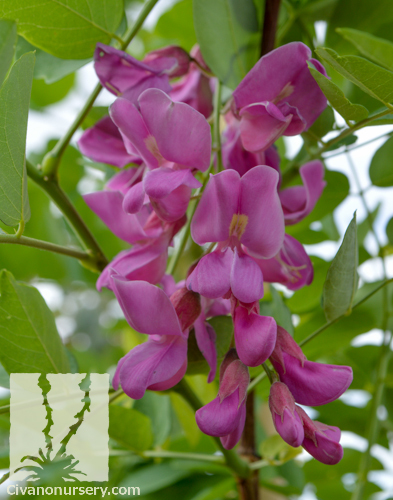 Purple robe locust is a tree that stops people in their tracks when they happen upon it in full bloom. 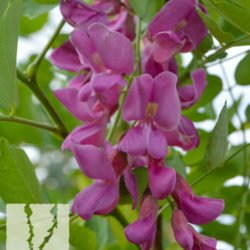 The flowers resemble sweet peas, but they hang from the branches like wisteria and smell faintly like roses. 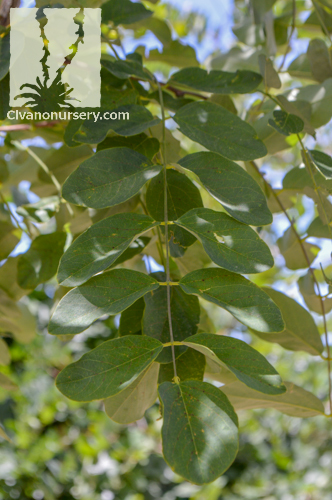 This hybrid begins blooming earlier than other locust trees, and blooms for a longer span of time. 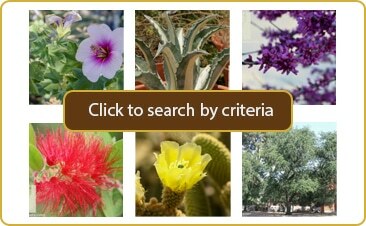 Despite its tendency to flower more abundantly, it produces far fewer seed pods than the species and many of the other cultivars. 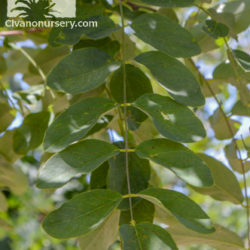 This heat-loving and cold-tolerant tree grows very quickly, creating an upright, oval canopy of grass-green leaves that provide ample shade through the summer. Added color interest throughout the year is created by new growth that has a reddish-bronze tint, and the green hues of older leaves briefly turn yellow in fall before dropping from the tree in winter.